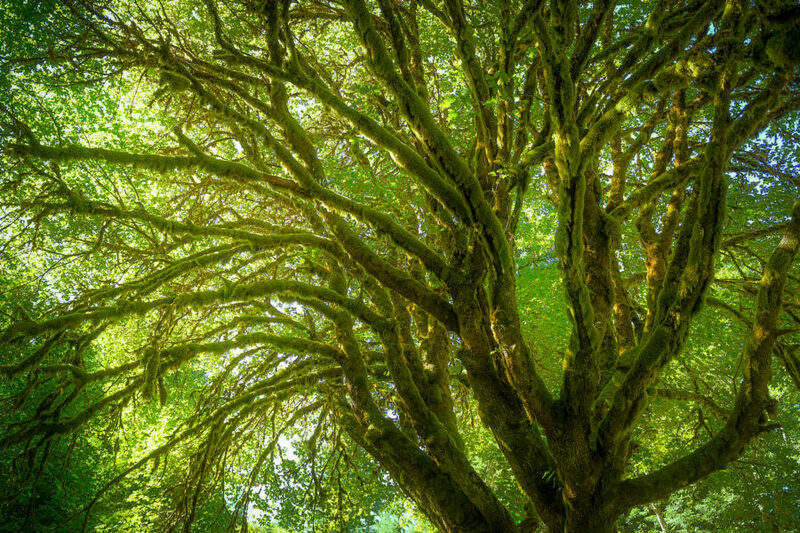 Seattle isn’t nicknamed the Emerald City by accident — the greenery here is something to behold year-round. There’s no shortage of ways to get out and explore in this nature-filled mecca. Dig in and see why people from all walks of life – locals and visitors, artists and innovators, explorers and dreamers – are inspired by the urban natural spaces of Seattle. This 534-acre city park in Magnolia feels like true wilderness, with meadows, beaches, bluffs, mountain views, and tall trees. Stroll the nearly 12 miles of walking trails, or visit the West Point Lighthouse for a postcard-worthy photo op. One of the most popular hikes in the area, Mount Si is a great place to gain some elevation—3,150 feet of it, to be exact. 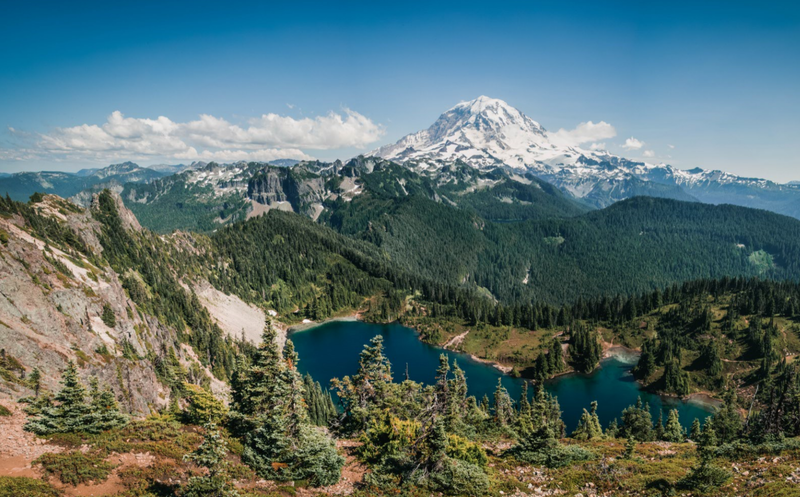 You’ll see plenty of people with loaded packs training for summits like Mount Rainier, but it’s just as enjoyable for casual day hikers traveling at a leisurely pace. 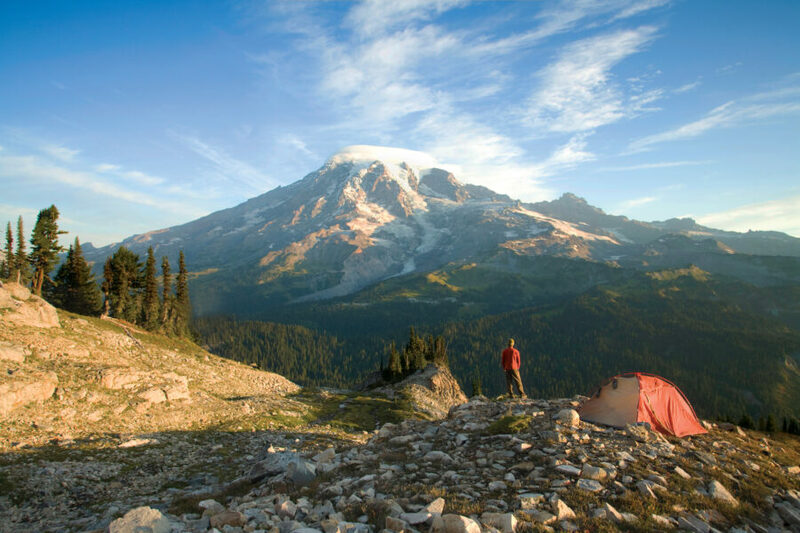 Make a day trip to Mount Rainier, the icon looming on the horizon. It’s a 2.5-hour drive to the active volcano, with many tour operators offering guided tours. The Paradise visitor area is a great place to start, with trailheads that are both beginner-friendly and suited for expert climbers. Take in the alpine meadows abloom with wildflowers in the summer, or embark on a snowshoe excursion in winter. Winding 27 miles through many of Seattle’s notable northern neighborhoods—such as Ballard, Fremont, and the University District—the Burke-Gilman Trail is a cyclist’s delight, offering uninterrupted pedaling past spectacular scenery. The signature offering at Seattle Cycling Tours is a 2.5-hour intro to the city on two wheels, hitting highlights like Pioneer Square, South Lake Union, and Seattle Center. If you’ve already covered the basics, try the Georgetown, Bainbridge Island, or Alki/SoDo itineraries. A Northwest rite of passage since 1979, the STP riding event takes bikers all the way from Seattle’s University of Washington campus to Portland’s Holladay Park. Most of the 10,000 or so participants spend two days traversing the 200 miles, but the truly ambitious can complete it in one. Hop aboard the largest fleet of ferries in the United States for a super-convenient (and beautiful) way to get out on the water. From downtown Seattle, head to Bainbridge Island (35 minutes away) or Bremerton (60 minutes away), both of which have attractions within walking distance of the docks. Trim the sails or sit back and relax. Let’s Go Sailing makes getting out on the water fun and easy for anyone. Bring your own food and beverage and sit back as our highly skilled crew do all the work. But don’t be afraid to ask the captain to try your hand on the helm. After renting a kayak and exploring the floating homes of Portage Bay, the lily pads of the Washington Park Arboretum, or the unique architecture of Gas Works Park, paddle back to Agua Verde and refuel with nachos and a margarita. You’ll see a little bit of everything on the narrated Locks Cruise from Argosy Cruises, which starts in Elliott Bay and ends in Lake Union. Along the way, the ship passes through the Ballard Locks, which raise and lower to allow passage of vessels from salt water to freshwater. Prefer something a bit more fast-paced? Alpine Adventures leads guided whitewater rafting trips & scenic floats throughout the Cascades. Grab a paddle and explore beyond city limits. When winter hits, the skis and snowboards come out at Stevens Pass. Located a two-hour drive north of Seattle, this resort features 52 named runs and 1,800 vertical feet on its two different mountains. Added bonus: Stevens Pass offers night skiing so you can catch some powder under the stars. Crystal is the largest ski and snowboard resort in the state, but even if you’re not planning to go downhill, you can still have a ball here. Just board the Mt. Rainier Gondola and take a 12-minute ride more than 2,000 feet up, where you’ll find enviable views and the highest-elevation restaurant in the state. There’s winter fun to be had for the whole family at the Summit at Snoqualmie, where you can take group lessons on some of the best beginner terrain, ski the back bowls of Alpental, or tube down a 550-foot-long hill. Get a birds-eye view of downtown Seattle and Mt. Rainier from aboard one of Seattle Ballooning’s beautiful hot air balloons. Book a semi-private or private flight depending upon the occasion and they’ll take you on an upscale experience you’ll never forget. The end of the flight is celebrated in traditional French style: with a champagne toast, fresh-baked croissants, triple-cream brie, and organic strawberries. For a look at the city that can’t be beat, catch a flight on a floatplane with Kenmore Air. 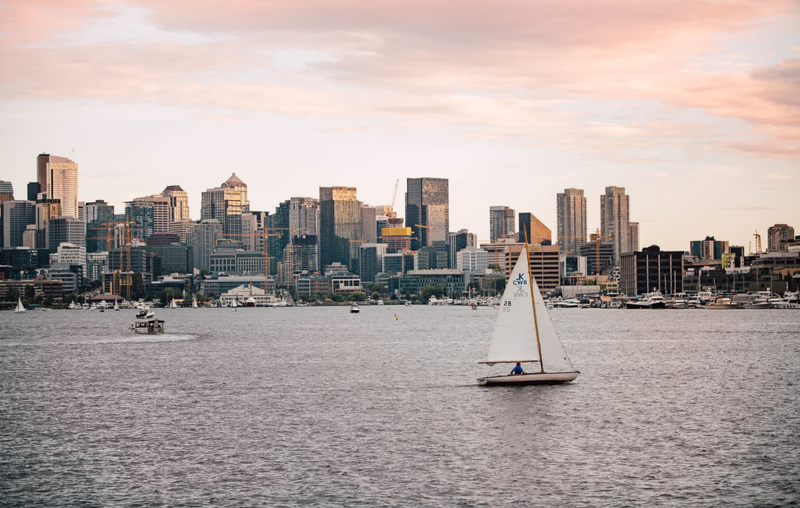 Their 20-minute tours take off from Lake Union and offer views of the stately University of Washington campus, famous Space Needle, downtown skyline, and magnificent lakeside estates before landing gently back onto the water. Hop into a helicopter and cruise above Seattle’s signature landmarks, including the skyline, Space Needle, sports stadiums, marinas and more with Atomic Helicopters. And if you want to get away from the heart of Seattle, Atomic Helicopters offers a special, 40-minute flight to see the breathtaking 268ft waterfalls of Snoqualmie Falls, made famous from TV’s Twin Peaks. With its 14,416-foot peak and 236,381 unspoiled acres, this park was created in 1899 (17 years before the National Park Service was formed!) making it one of the oldest in the nation. 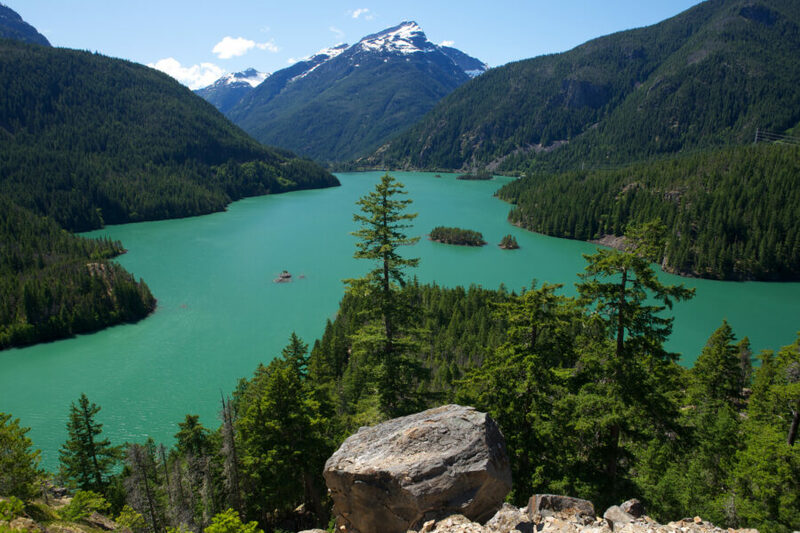 Luminous peaks, lush rain forests, and a stretch of wild beaches, all contained on a peninsula across the water from Seattle.